This book offers a small but helpful door into Faulkner's iconic early novel. 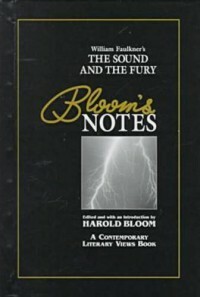 While the book's publishers hardly advertise it as an exhaustive analysis, some of the critical essays that comprise its largest section are just repetitions of the initial structural and thematic analysis immediately following Bloom's introduction. Even so, there are diamonds to be found in the rough: Ralph Ellison's and Deborah Clarke's essays were favorites of mine. They offered insights that, while cursory extracts from more in-depth books and articles, still offered unique takes on Faulkner's artistic battles on the racial and feminist fronts.